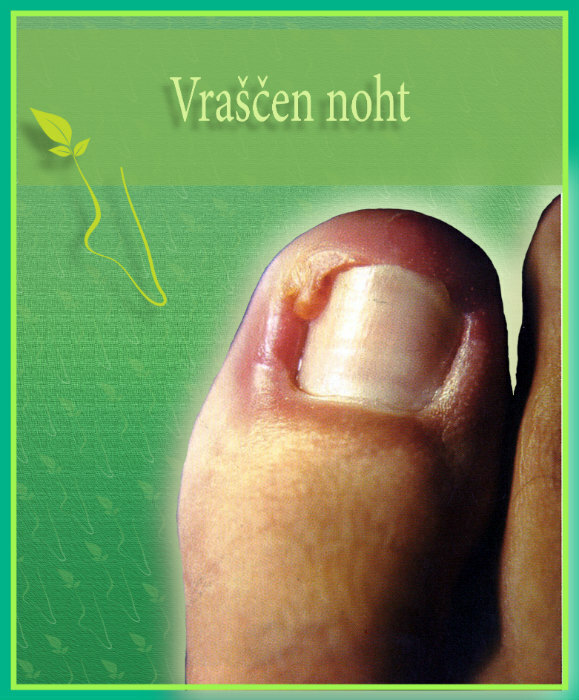 We started to treat ingrown toenails with a new effective method in 2014 where for the inflammations and hypergranulations we started to perform special Photodynamic Therapy – PACT MED. Additionally besides using this special LED lights we apply on the ingrown toenail also a special gel for inflammations that renovate the wound quickly and accelerates wound renovating. One of the most notable innovations in medical pedicure in recent years is the 3TO Brace nail therapy. Therapy with the use of 3TO Brace is completely painless treatment of ingrown toenails. Medical 3TO Brace is a brace that corrects fingernails and toenails – the Brace is similar to the brace that corrects teeth. The medical brace is crucial in regulating the natural growth of the nail. Installation is carried out individually where the client feels no pain and there is no need for local anaesthesia. This is an innovative approach and an alternative to operations. Unguis incarnatus is the medical term for ingrown toenail. The nail is growing into the surrounding soft nail tissue that is causing pain and inflammation, sometimes even bacterial infection. The most common causes are injury, too narrow shoes, consumption of certain drugs and improperly clipped nails. Medical 3TO Brace is a brace that corrects fingernails and toenails – the Brace is similar to the brace that corrects teeth. The medical brace is crucial in regulating the natural growth of the nail. This is an innovative approach and an alternative to operations. Is the implementation of 3TO Brace painful? Installation is carried out individually, where the client feels no pain and there is no need for local anaesthesia. The client feels relief because the area along the nail or the skin is relieved. The brace brings no problems in everyday life. 3TO Brace is designed for everyone. Even children can wear it, including diabetics (since this is an alternative to surgery), people with allergies to nickel and others. 3TO Brace is an exceptional assistance to people with these issues: ingrown toenails, slightly band nails, nail deformations or just as a prevention for having ingrown toenails. Otherwise there is a practice that ingrown toenails are treated surgically with the operation of the nail, but the frequent recurrences and interferences are also very painful!! 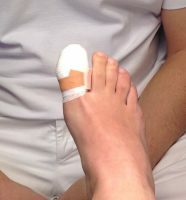 The state of ingrown toenail at the beginning before therapy with 3TO Brace. TERAPIJA: Therapy with 3TO Brace. Duration: 4 weeks. AFTER: Nail treatment with 3TO Brace was after 4 week a success. BOOK AN APPOINTMENT Quick order form for making appointments for check-up or counselling. Explain your issues and we will help you.